Spores ripen June-August. Deciduous. Native. 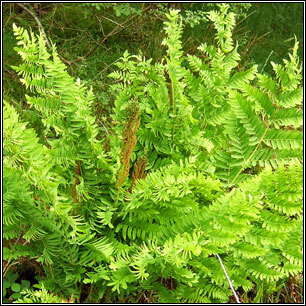 Distinctive tall stately fern with dense clump of fronds 60-160cm. 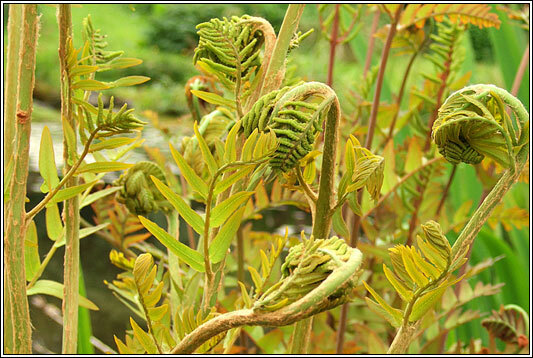 Pale green 2-pinnate erect sterile fronds. 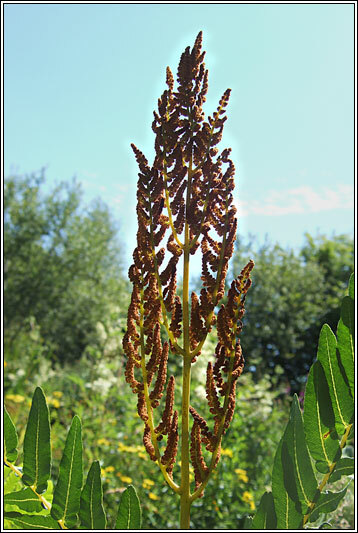 Taller fertile fronds in centre, narrow upper leaflets covered with rich-brown spores. Short stout stem. Young stalks are covered with golden-brown hairs, soon falling off. Boggy or marshy ground, woods, fens, wet fields. 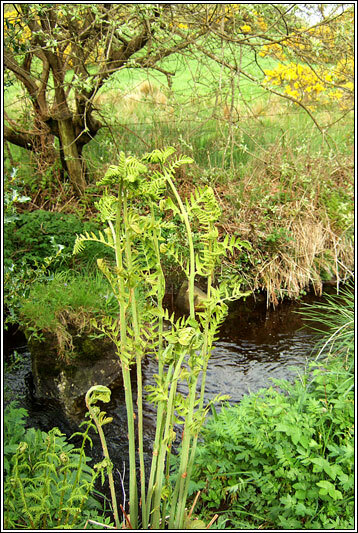 Very frequent in most of Western half of Ireland, rarer in East. Native, also frequently planted.